There is no split on how much the President alone actually earns, but basing on that $17 500 average, his salary would place him among some of the best-paid Presidents. 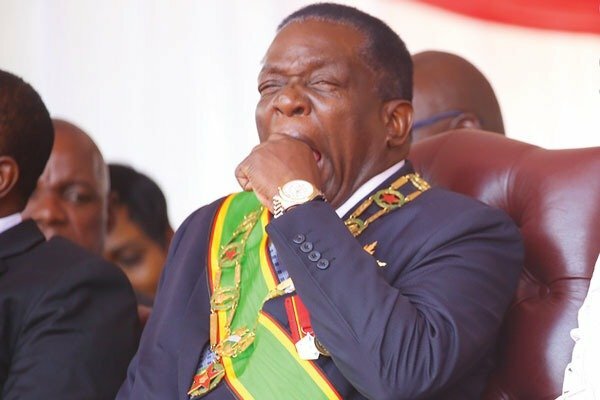 The post ED’s big paycheck revealed appeared first on NewsDay Zimbabwe. That’s the true nature of zanu pf kleptocracy. If this not legalised looting & bloody sucking then what will ever be? But you will always hear zanu pf idiots lambasting suffering hardworking civil servants (Drs, nurses, Trs, etc) when the threaten or even go on strike crying for their well-below bread basket wages to be pushed upwards just a little bit. The dull idiots will parrot the elitist mantras – like the country is hard pressed for resources & everyone must be patriotic and tighten their belts, bhula, bhula, bhula, …”. But what they dont think about is why must the poor be asked to tighten belts (which they dont even have becoz they cant afford buying one) when the president himself & his inner circle continue to expand to the extent that they now rely on customer-made belts (kukoresa nemari ye same government inohwi haina mari to the extent that there are no longer normal belts found in any shop anovakwana). nxaaaaa! Imagine a president of a country like Zimbabwe being paid a salary much – much higher than a neibhouring SA president, a county which is much much bigger & with a running economy? nxaaaa! Where is the opposition? They could have a field day with such information!